Elementary and middle school brings new challenges both academically and socially. A constructive after-school activity such as kids martial arts training can help your child with these challenges. This is where Tiger-Rock Martial Arts, your neighborhood martial arts academy serving the Katy community, comes in. Watch the video to learn more about our Juniors Program! We have a specially designed curriculum for elementary school students – the Juniors Program. Perfect for 6-, 7-, 8-, 9-, and 10-year olds, this program represents the next step in kids martial arts training. Students in this program set goals, learn self-defense, and anti-bullying tactics in a fun and action-packed environment. Striking and kicking Lessons for this age group includes various drills, including striking and kicking. Students will learn various kicking techniques and defensive striking moves. Your child will learn how to defend his or herself from aggressive threats. However, these lessons also have additional benefits, such as developing your child’s athletic ability, improving motor skills, and boosting your child’s physical fitness. Takedowns and self-defense Self-defense is one thing; knowing what to do when a threat is oncoming is another. Our kids martial arts training system helps students react properly for effective self-defense. As your child improves his or her coordination and motor skills, your child will feel more confident. Anti-Bullying Education Unfortunately, elementary school may expose children to their first experience with bullying. However, our kids martial arts training system at Tiger-Rock incorporates anti-bullying education. We teach our students how to react and defend themselves against bullies. Good Citizenship Students are encouraged to be good citizens off the mat. This includes respect for authority and academic accountability. We also have an Honors Program that will be available as your child advances in rank. This program will allow students of proper rank to participate in activities that promote leadership. Full participation As we say at our academy, “Nobody sits on the bench!” Our classes are designed to be fun and engaging where everybody participates. At Tiger-Rock Martial Arts of Katy, your neighborhood kids martial arts training academy, we have developed an inclusive environment. This environment allows for students to have a positive social experience and participate in various martial arts activities without feeling left out. Advancement & Competition Students are encouraged to take advantage of multiple opportunities per year to advance in belt ranking. These belt tests give students the opportunity to apply what they have learned on the mat. Also, as a member of Tiger-Rock Martial Arts, your child will be invited to participate in yearly tournaments in the fall, spring, and summer. Much of our training is geared towards preparing students for belt testing and competitive events. 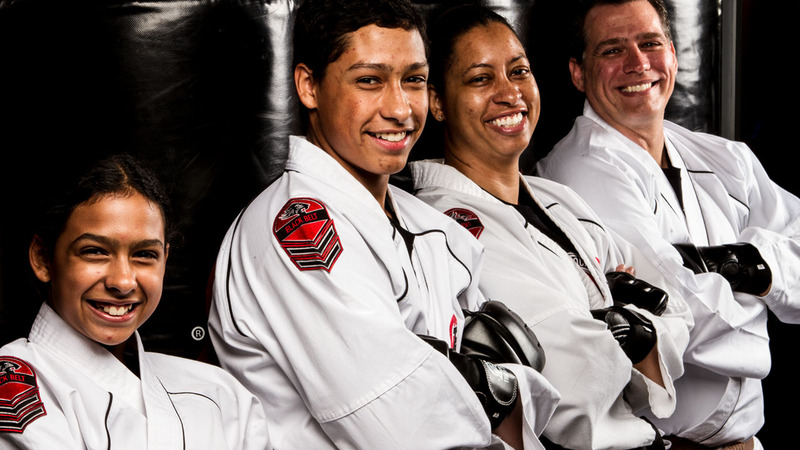 Tiger-Rock Martial Arts has served the Katy area for over 20 years. We are a proud part of the Katy TX community, and we look forward to having your child attend our academies. Choose Tiger-Rock Martial Arts for your kids’ martial art training today!